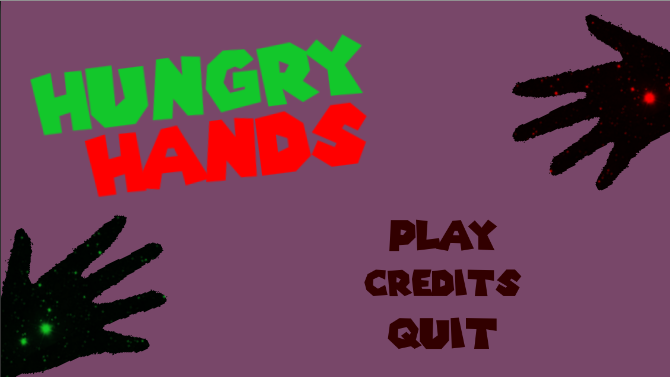 Hungry Hands is a quick game I made during my holidays to try and keep in practice with all the skill I had learn't1920 over the last trimester of uni. It's is based of hungry hungry hippos, your goal is to collect more balls then the other player. Menus are controlled with the mouse.